For sale is a true rarity. 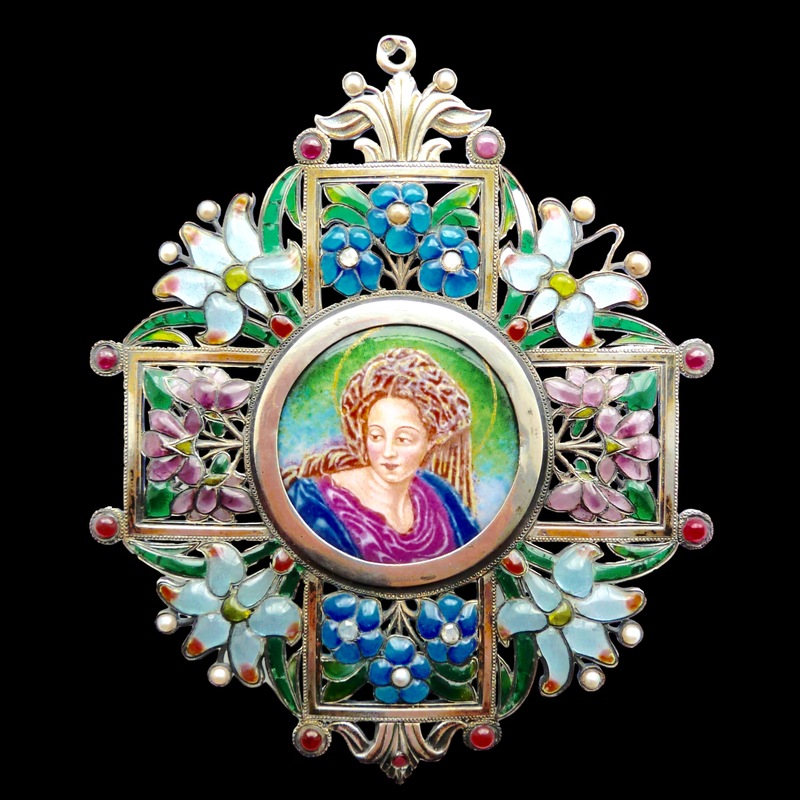 This is a large art nouveau religious pendant by Comte Enguerrand du Suau de la Croix dating to around 1905. 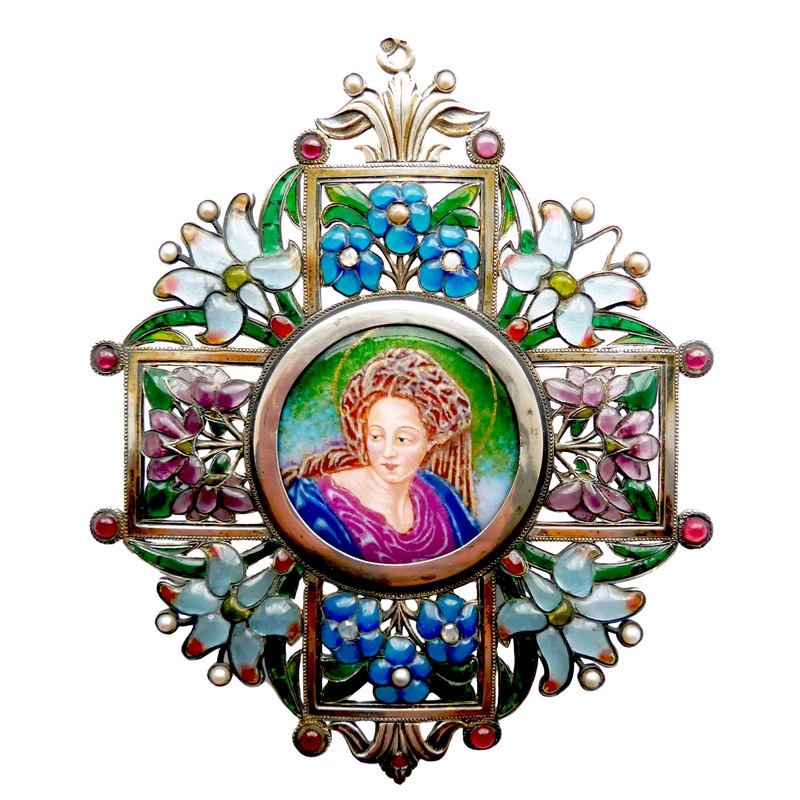 He developed his own technique for plique a jour enamel which creates cabochons of enamel for an overall enhanced jewel like effect of the glass. 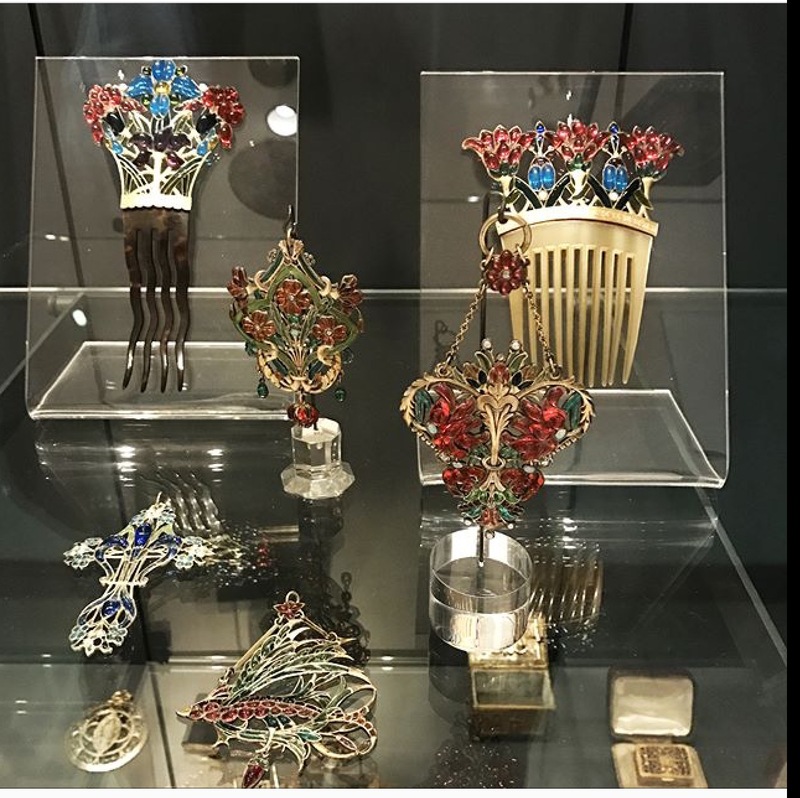 The pendant is formed of groups of flowers surrounding a greek cross, set with a central enamel plaque in the Limoges style, highlighted with diamonds, rubies and pearls. It represents a stunning example of his work. 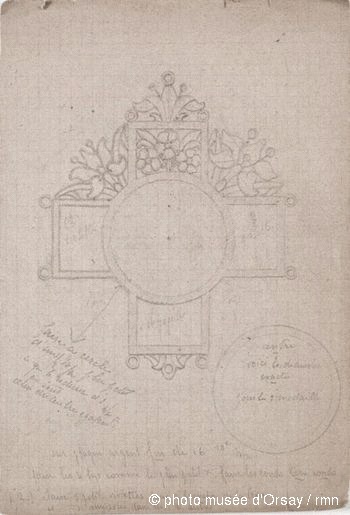 In 2012 the Musee d’Orsay acquired the complete archive of Suau de la Croix and the original drawing of this pendant is in that collection. A number of pieces by him are now on display at the museum. His work was also exhibited extensively at the Paris Salon 1903-08. Designer: Comte Enguerrand du Suau de la Croix. See the collections of the Musee d’Orsay for the extensive archive of Comte Enguerrand du Suau de la Croix. Literature, Victor Arwas, Art Nouveau, the French Aesthetic, pages 346 and 619. Alastair Duncan, The Paris Salons, 1895-1914: Jewellery, Vol. 2: The Designers L-Z. Pages 225-230. Yvonne Markovitz and Elyse Zorn Karlin, Imperishable Beauty, page 132 exhibit 69.